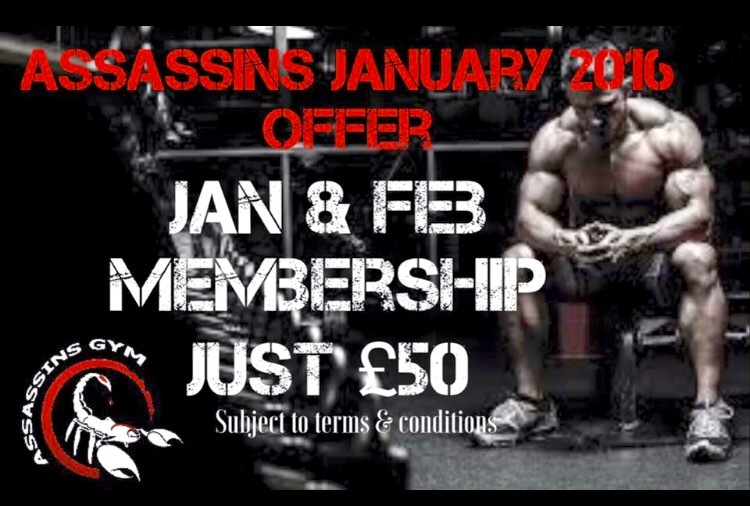 For 2016 Assassins gym will offer you two months just gym membership for only £50, January and February only. £35 PCM there on after!!!!! Please get in touch for more details. !